Amanda Hardy is the new girl in school. Like anyone else, all she wants is to make friends and fit in. But Amanda is keeping a secret, and she's determined not to get too close to anyone. But when she meets sweet, easygoing Grant, Amanda can't help but start to let him into her life. As they spend more time together, she realizes just how much she is losing by guarding her heart. She finds herself yearning to share with Grant everything about herself, including her past. But Amanda's terrified that once she tells him the truth, he won't be able to see past it. Because the secret that Amanda's been keeping? It's that at her old school, she used to be Andrew. Will the truth cost Amanda her new life, and her new love? Meredith Russo's If I Was Your Girl is a universal story about feeling different?and a love story that everyone will root for. The bus smelled of mildew, machine oil, and sweat. As the suburban Atlanta sprawl disappeared behind us, I tapped my foot on the floor and chewed a lock of my newly long hair. A nagging voice reminded me that I was only a half hour from home, that if I got off at the next stop and walked back to Smyrna, by sunset I could be in the comfort of my own bedroom, the familiar smell of Mom's starchy cooking in the air. She would hug me and we would sit down and watch awful reality TV shows together and she would fall asleep halfway through, and then nothing would change. But something had to change. Because I had changed. As I stared out at the swiftly moving trees, my mind was in a mall bathroom back in the city, the images shifting and jumbling like a kaleidoscope: A girl from my school, her scream as she recognized me. Her father rushing in, his rough, swift hands on my neck and shoulders. My body hitting the ground. When Grant first introduces himself to Amanda, she wonders "if a boy like him could ever understand what it was like to be me. To know what it was like to view high school as something you needed to survive." Do you think every high schooler feels that way at some point? Does the book ultimately agree with Amanda or not? There are many ways to describe Amandashe's young, Southern, transgender. Despite these specific facts, in what ways is her story universal? If I Was Your Girl is an extremely kind novel. Sure, there are episodes of tension and cruelty, but goodness prevails at the heart of the story. It’s the sort of novel that makes you want to step out and hug somebody – or even hug yourself. Grant tells Amanda, “Everybody’s got a past.” Then, he continues, “That doesn’t mean you can’t have a future.” His inspiring words exemplify why Meredith Russo’s If I Was Your Girl will make readers believe that the best is still yet to come for humanity. (Reviewed by Bradley Sides). Never didactic, this debut is a valuable contribution to the slender but growing body of literature of trans teens. [T]his is a fully realized narrative about the trials of teen life that can appeal to anyone regardless of their interest in LGBTQ subjects. Starred Review. 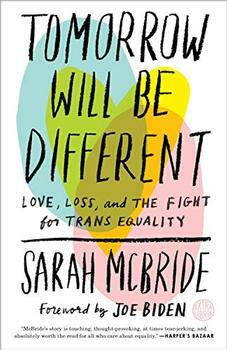 Above all, this is a necessary, universal story about feeling different and enduring prejudices, and it's full of love, hope, engaging writing, and truth. Modern American culture has a fascination with understanding what being transgender truly means. Popular television series such as I Am Cait and I Am Jazz are bringing real, transitioning lives into households everywhere. But, of course, TV series aren't the only way that people are beginning to understand what being transgender means. Books are also helping pave the path, and these stories are quickly growing in number. 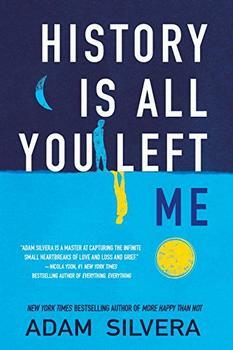 A captivating memoir that will change the way we look at identity and equality in this country. From the New York Times bestselling author of More Happy Than Not comes an explosive examination of grief, mental illness, and the devastating consequences of refusing to let go of the past.